I love grilled Octopus. It is a wonderful dish that when cooked right has a light smoky crust of paprika, but is tender as a good steak. Some of the best grilled Octopus we have had was in Portugal and I tended to get this dish wherever I could find it. 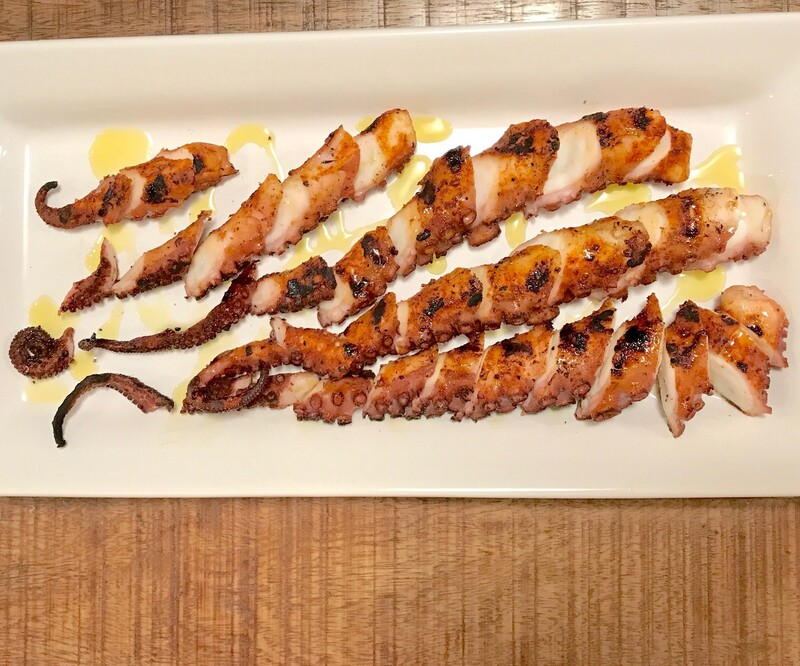 Our grilled Octopus recipe is an incredibly flavorful dish and reflects the style we enjoyed in Portugal. Served as a tapa or as the main dish, grilled Octopus is versatile meal. Finding fresh, never frozen Octopus can be difficult as the best source is from Spain where the Octopus have a healthy diet of shellfish. Here is a good article about identifying good Octopus to use and overall a good read before trying to cook Octopus your first time. One store that I can consistently find fresh Octopus is Eataly, so if your city has one it is a good bet you can find what you need there. Octopus is cooked slowly in a bath of water, oil, and seasonings which soften the octopus. 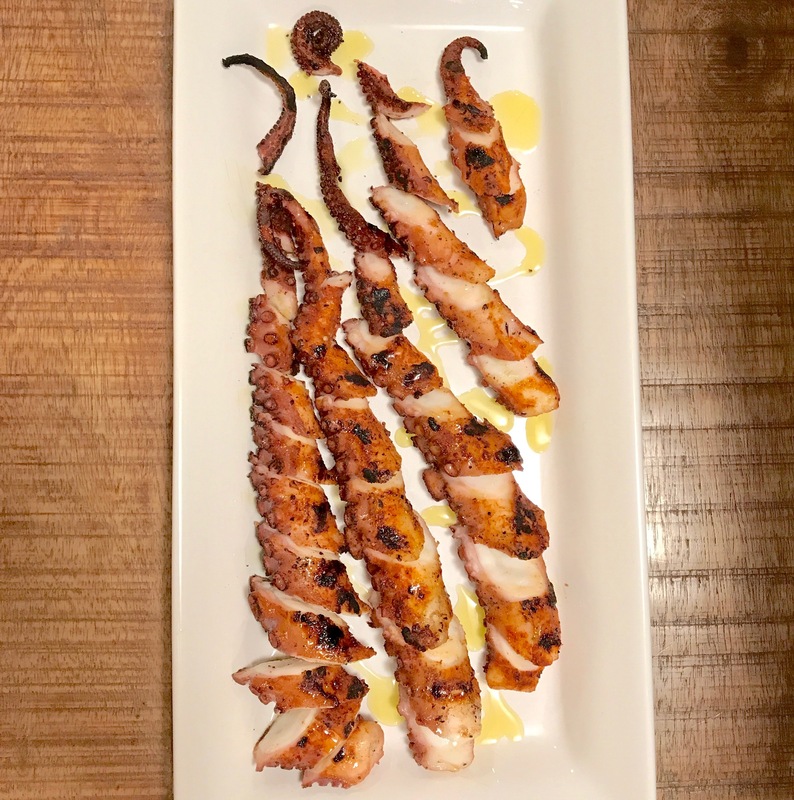 After the octopus cools to room temperature, we add some spices and grill for a few minutes to finish off the perfect texture and infused with a little smokiness. Cook uncovered at 250 degrees F in oven for 2 hours.